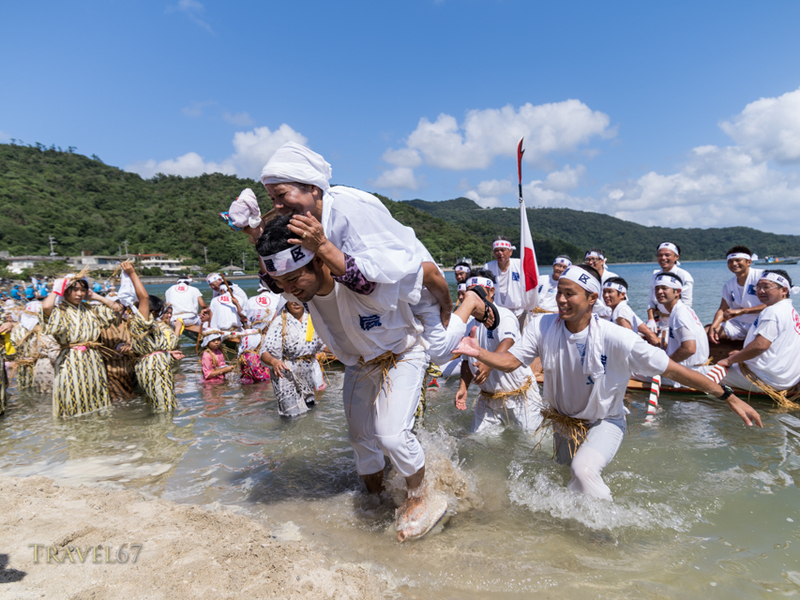 Yesterday, Shioya Ungami was held in Shioya Bay on the north west coast of the main island of Okinawa. Shioya is part of Ogimi village which is famous for having one of the longest living populations in the world. 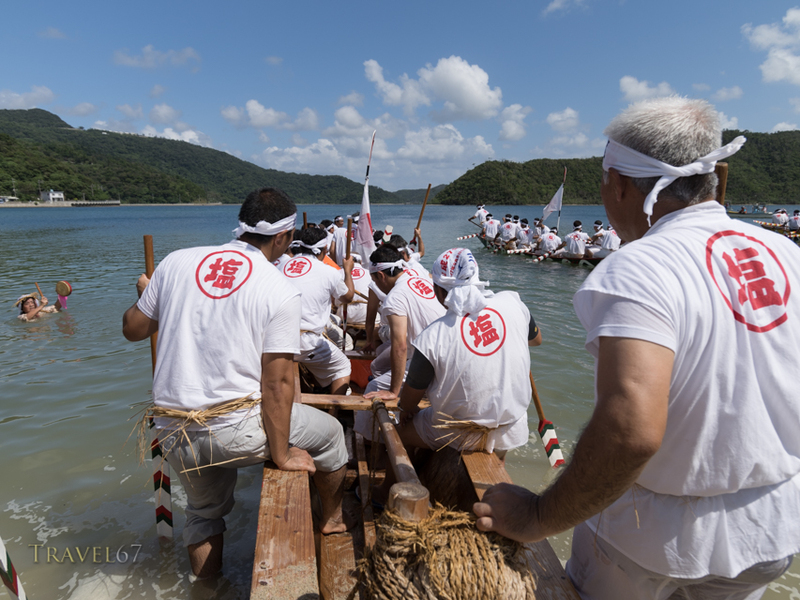 The festival begins with prayers and then the men of the village race dragon boats across the bay. The only woman in the boat is a yuta which is a local priestess. When the dragon boat arrived at the beach, the yuta was carried across the water so she didn’t get her feet and clothes wet. 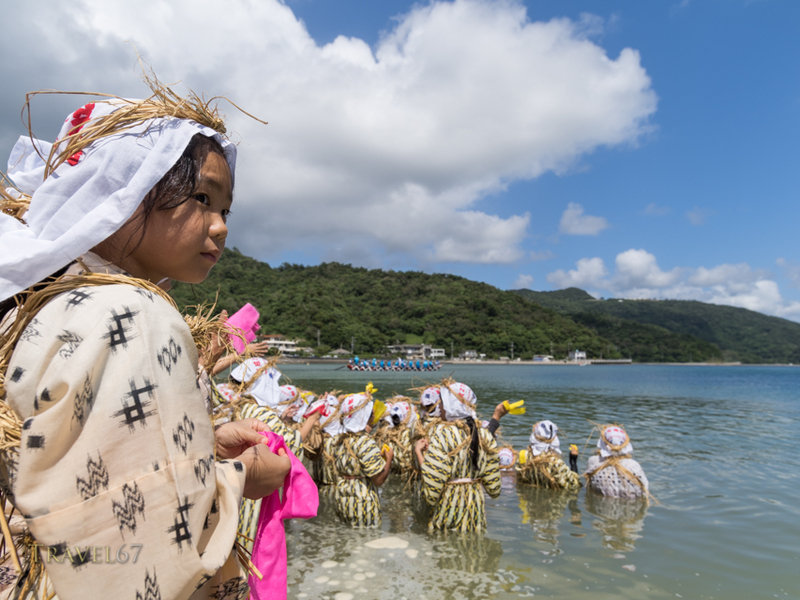 Many of the ladies and girls of the village wade into the water to sing and bang drums as encouragement for the dragon boat racers. They also stopped and prayed after the arrival of the first set of boats. The boats then raced back across the bay again as the ladies sang and waved. After the races the singing and dancing continued. Many of those laughing and bounding around were in their seventies and eighties. Many of the spectators were even older. 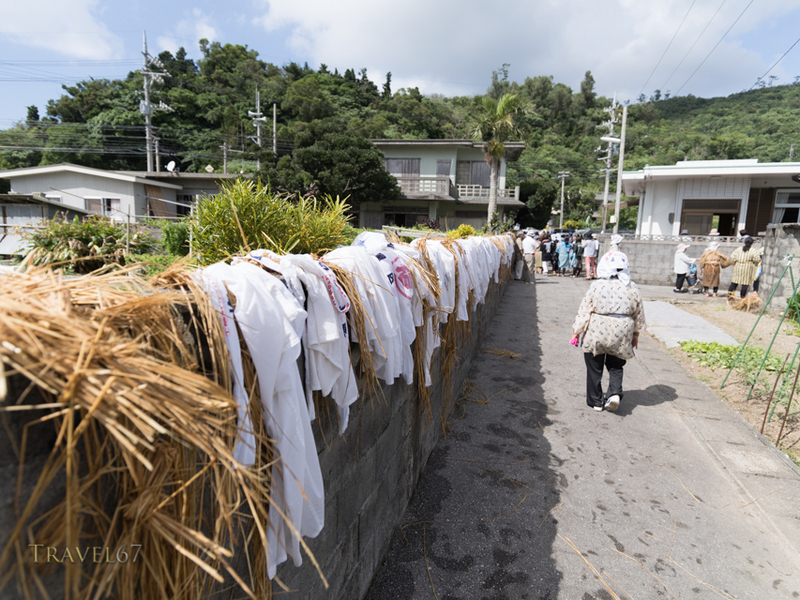 The soaked clothing, towels, and straw crowns were hung out to dry on the stone walls of the village. 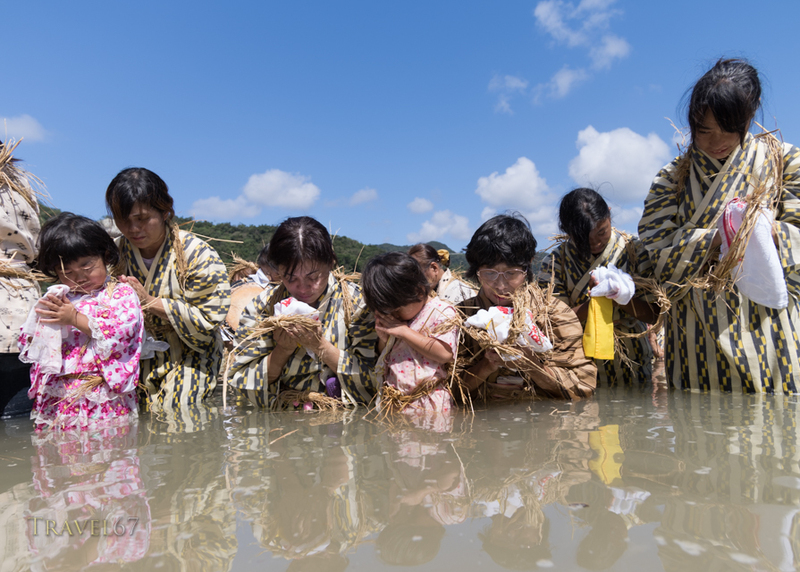 There are many reasons why the people of Ogimi have such long lives, but one is community spirit. Ungami is such a positive, happy event for everyone young and old. Their lives are not just long, but also filled with dancing, singing and laughter. 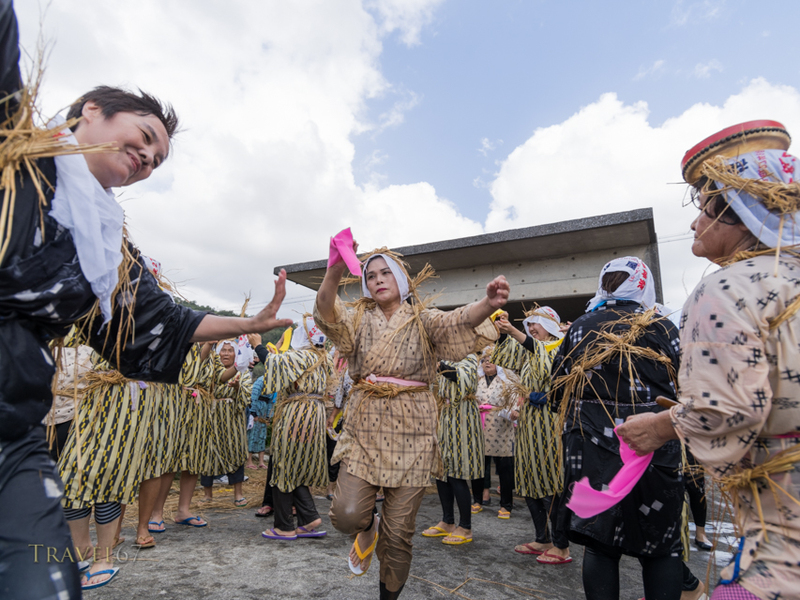 The world has much to learn from this tiny Okinawan village.